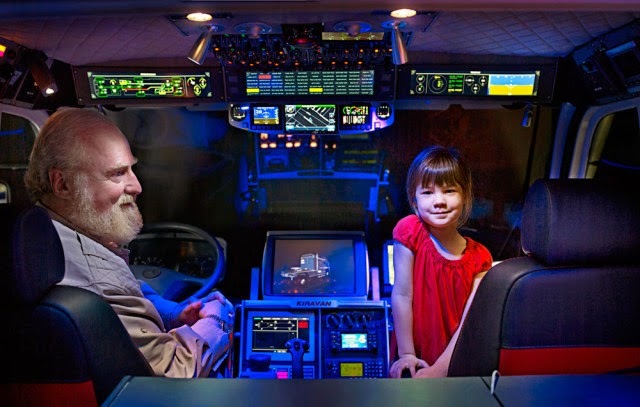 An inventor from California, Bran Ferren (61) has modified his truck into a large van to bring her daughter Kira (4) going around the world. Based on the news which quoted from Daily Mail on Saturday, April 12, 2014, Ferren modifed vehicle that looks so solid on the outside. Ferren deliberately modifying his truck into a van similar to the vehicle that can be used almost in every field around the world. For interior of the vehicle was designed with a model of the office, kitchen and bedroom. By using the vehicle, Ferren has been traveling around the world for four years. The vehicle has six wheels that can pulverize rock and muddy roads without constraints. Wheels and suspension also proved Ferren van belonging to a distance of over 2,000 miles without recharging the wind, and were able to walk uphill on a track with a slope of 45 degrees. On the steering wheel, the interior of his truck as Ferren conjure airplane cockpit. 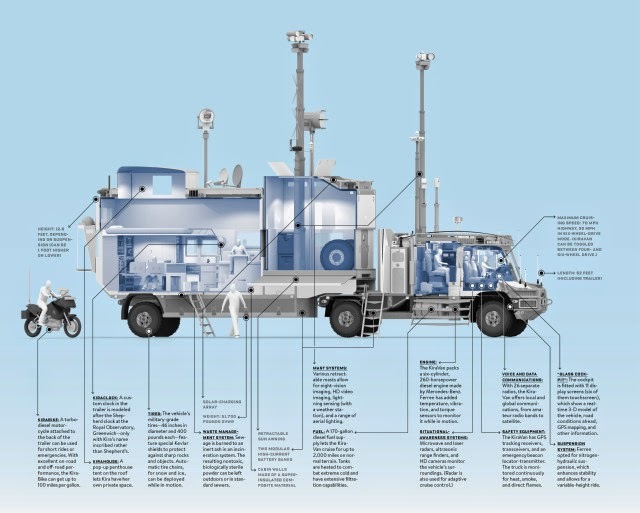 He also added some large computers to monitor each part of the vehicle. Vehicles with a length of 31 feet and 10 feet high was touted better than any home run.